Voting system: Each country had 10 jury members who each cast one vote for their favourite song. The Eurovision Song Contest 1970 was the 15th Eurovision Song Contest, held on March 21 1970 at the RAI Congrescentrum in Amsterdam, Netherlands. The Amsterdam contest is regarded as one of the most significant in Eurovision history for a number of reasons. Ireland's win was their first. It is notable that nine of the 10 Belgian jury members awarded their votes to Ireland. The UK were second, six votes behind Ireland. Luxembourg received zero votes for the only time. The Congrescentrum, venue of the 1970 contest, is a semi-permanent exhibit at the Ferdinand Bolstraat to Amsterdam, and was opened on 31 October 1922. This building was replaced in 1961 by the current RAI building on Europe's Square. The current congress and event center on Europe Square, was designed by Alexander Bodon and opened on 2 February 1961. Due to the four-way tie in 1969, lots were drawn to choose which country would host this Eurovision. The Dutch producers were forced to pad out the show as only 12 nations decided to make the trip to Amsterdam. The result was a format which has endured almost to the present day. An extended opening sequence (filmed in Amsterdam) set the scene, while every entry was introduced by a short video 'postcard'. Interestingly, the long introduction film (over four minutes long) was followed by what probably is one of the shortest ever introductions by any presenter. Willy Dobbe only welcomed the viewers in English, French and Dutch, finishing her introduction after only 24 seconds. The set design was devised by Roland de Groot; a simple design was composed of a number of curved horizontal bars and silver baubles which could be moved in a variety of different ways. To avoid an incident like in 1969, a tie rule was created. It stated that, if two or more songs gained the same number of votes, each song would have to be performed again. After that every jury except the juries of the countries concerned would have a show of hands of which they thought was the best. If the countries tied again, then they would share first place. The Eurovision Song Contest rules didn't allow for groups to perform so The Hearts Of Soul, the Dutch participants, performed as Patricia & Hearts of Soul. Of the participating singers, a number were already established performers. 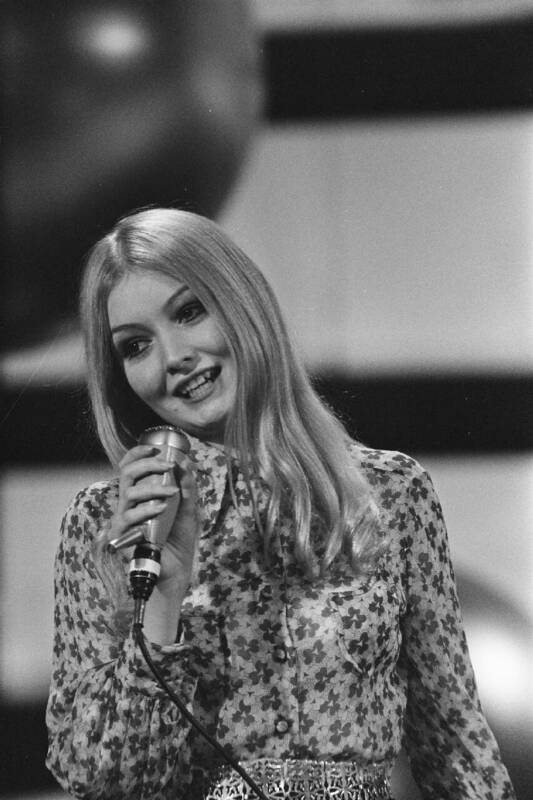 Notably, the United Kingdom sent Mary Hopkin while David Alexandre Winter represented Luxembourg. The contest is also notable for the appearance of the then unknown Julio Iglesias, singing for Spain. Ireland won the contest with All Kinds of Everything, penned by Derry Lindsay and Jackie Smith and sung by another unknown, Dana, an 18-year-old Derry schoolgirl. The song became a million-seller and the singer an international star. As the contest was held in Holland this year, and the country was one of the four winners in 1969, Dana received her awards from joint winner Lenny Kuhr. Austria (who had not taken part in 1969), Finland, Norway, Portugal and Sweden boycotted this contest as they were not pleased with the result of 1969 and the voting structure. For the first time, no artists from previous contests returned.